CHATHAM COUNTY, N.C. (WTVD) -- Authorities have issued an explanation for a loud boom heard in parts of Wake and Durham counties Wednesday evening. 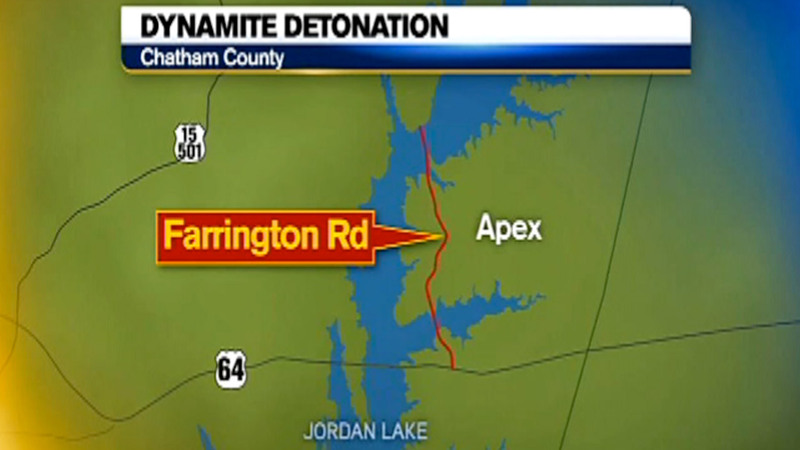 ABC11 and law enforcement received several calls to the newsroom about the noise around 7:15 p.m.
Chatham County authorities said Fort Bragg detonated some old dynamite that was found on private property off Farrington Road near Jordan Lake. The county sent out a reverse 911 call in the immediate area warning of the explosion. However, they did not expect the noise to travel as far as it did.